Paddling along the shoreline on Hayden IslandPhoto credit: Stickeen, Inc. This new 290-acre state natural area at Hayden Island on the Willamette River is a fitting tribute to the late Gail Achterman, an Oregon conservation leader passionately committed to creating an economically and ecologically sustainable future for the Willamette Basin. Once slated to be logged and mined for gravel, the riverside parcel will instead be preserved as a rare patch of wild, intact nature just upstream from Achterman’s childhood home. 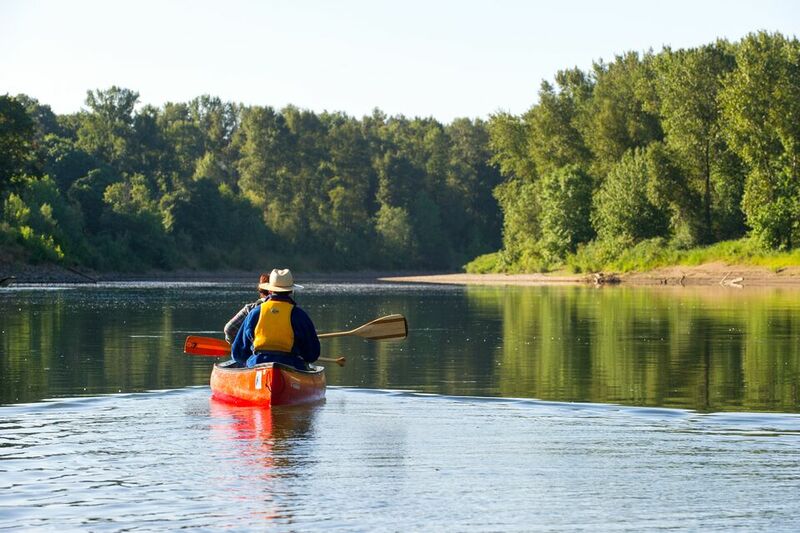 One day, following restoration, it may become a boat launch and camping site along the Willamette Water Trail, one of the nation’s premier long-distance paddle routes. Achterman died in 2012. Over four years, The Trust for Public Land worked in partnership with the late conservationist’s friends and relatives to protect the riverside parcel as a tribute to her legacy. Multiple government agencies and hundreds of Oregonians lent support to the effort. The Oregon Department of Fish and Wildlife will soon begin restoration, and will provide permanent protection and stewardship. Other groups supporting this conservation success included the Bonneville Power Administration, the Oregon Watershed Enhancement Board, the Oregon Department of Transportation, the Gail Achterman Legacy Group, the Meyer Memorial Trust, Oldcastle Materials, the Oregon Wildlife Heritage Foundation, the Rose E. Tucker Charitable Trust, the PGE Foundation, the Samuel S. Johnson Foundation, and the Oregon Community Foundation.